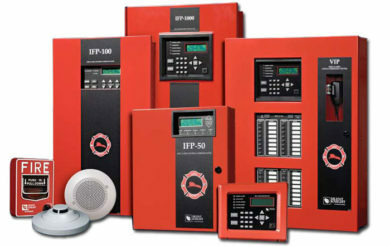 We can design and program a fire alarm system for your home or business. Our residential smoke detection systems monitor smoke and carbon monoxide. Our commercial fire systems are designed to meet building code requirements. We can provide cellular communication for most fire alarm systems, eliminating the need for costly telephone lines. Because a professionally-installed system can decrease the risk that your property will be damaged by fire, your insurance company may also offer a discount on your homeowner’s insurance.